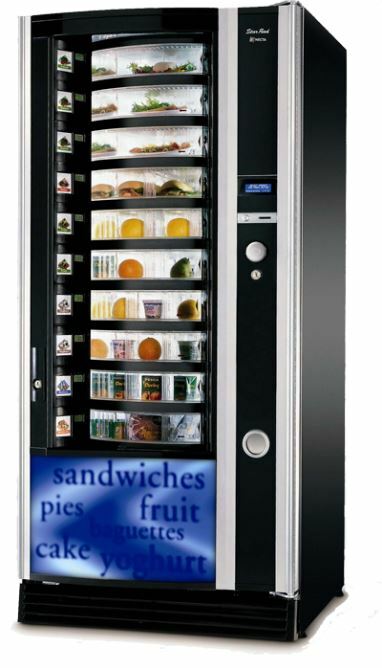 Fresh food vending machine available with 8 or 10 drums that is able to supply a range of food from fruit to sandwiches and plated meals. This is now available for £1500.00 plus VAT. Reduced from £2,500. 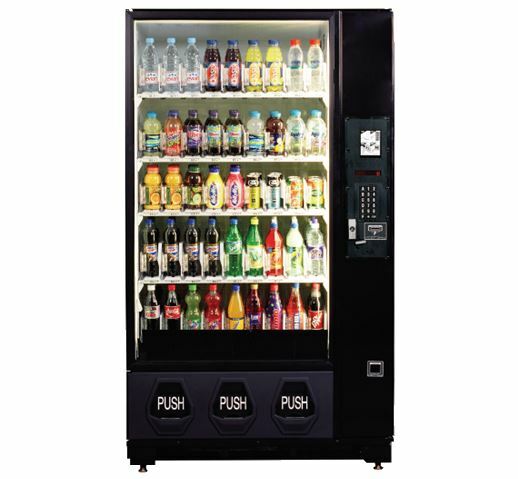 The Crane Evolution offers a full range of instant, freshbrew and bean to cup drinks as well as a selection of still cold drinks. It holds 600 cups, paper or plastic. 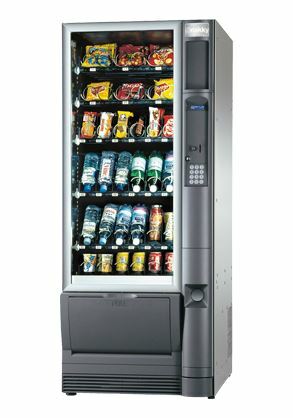 This machine is incredibly versatile, as well as the various drink options it offers you can also choose the drink strength. 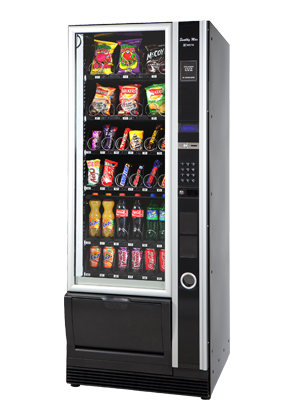 Offering either 32 selection of chilled snack and confectionery items, the Focus provides the perfect shop front for any location. 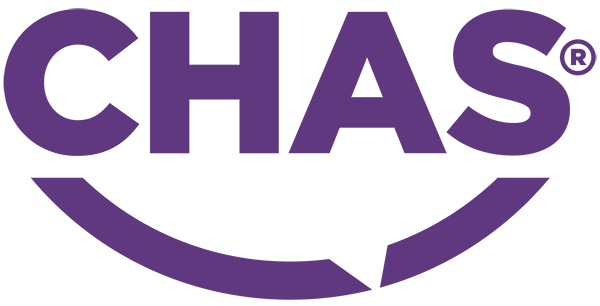 The machine is extremely easy to load with shelves that tilt to 45° – even the top shelf is easy to load. Each tray and column divider is adjustable to suit different sized products. 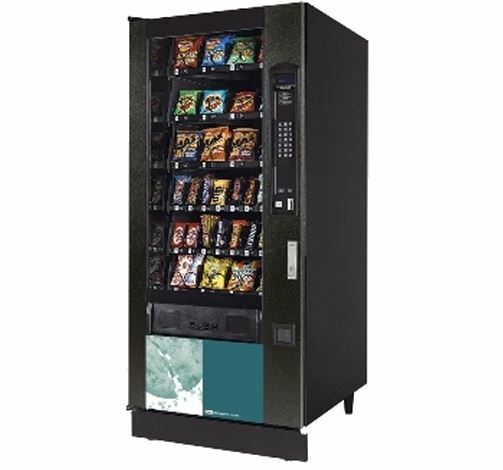 This machine can vend crisps, chocolates and healthy items. With a footprint of only 735 x 855 mm and 7 trays, SNAKKY MAX allows a complete refreshment service offering a choice of snacks, confectionery, cans and bottles. As you would expect from Necta, the Snakky Max is the operator’s dream, as replenishing stocks couldn’t be simpler, with pull out trays which tilt to allow easy access. To ensure client satisfaction, the Snakky Max has a sensor in the delivery area which detects if a product has actually been vended (option). Designed to sit alongside the similarly sized Kikko Max in order to provide a full refreshment service, Snakky Max can also be banked with Astro, working in master/slave mode, and with Zenith.